Do you ever get the feeling that you're more than just your physical body and conscious mind? Do you ever crave a more spiritual living experience; and a deeper connection to your unique purpose and gifts? Your five Universal Chakras are the little-known keys to profound spiritual and energetic transcendence. They are a part of you, yet they exist beyond your physical body, hovering just above your head. The Soul Star Chakra is the gateway to your immortal self. When you reach the entrance to this gateway, you begin releasing all that does not serve you, as you journey towards discovering your spiritual gifts and unique calling. The Spirit Chakra opens you to a new paradigm: which is that to create your greatest reality, you must first see beyond the confines of your current reality - including the illusions of space, self and time. While the Spirit Chakra is about possibilities, the Creation Chakra is about channeling those possibilities into your physical reality - and ensuring they flourish in the most rewarding ways possible for you. 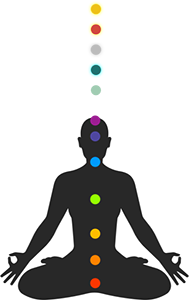 The Galactic Chakra is the Chakra of transcendence and extra-sensory perception; and connecting to it allows you to experience existence in its purest form, completely untethered to your physical body or conscious mind. The Divine Gateway Chakra is the key to experiencing oneness with the collective essence of reality, or the Universe, or God, or however you choose to put it in words. This is the key divine levels of inner peace, unity and love. Unlike the seven Chakras in your body, your five Universal Chakras are never closed or weak. They are the perpetually untouchable Chakras, unbroken and uncorrupted by the circumstances, thought patterns, physical conditions and even energetic patterns that cause the seven to be in a constant state of flux. A tremendous savings of 86%! 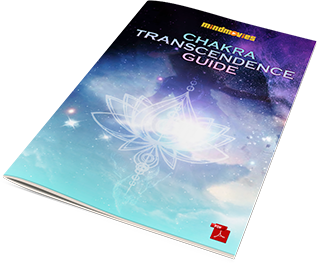 This illuminating in-depth guide gives you an intimate understanding of each of your Universal Chakras, and the role they play in your spiritual awakening. You'll discover what tools, exercises, and crystals you can use to quickly and easily unblock your path towards each Universal Chakra. 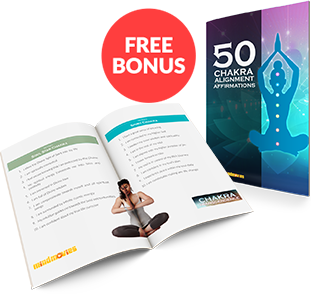 Plus you'll find a 'Chakra Pairing' section that shows you how to combine one of your seven physical Chakras with a Universal Chakra, to experience dramatically amplified results in your health, career, finances, and more. 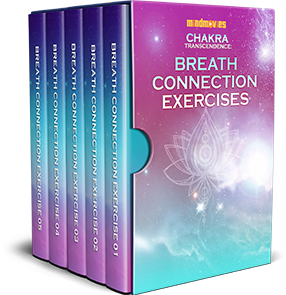 Designed to listen to right before your Universal Chakra Attunement Audios, these exercises have been carefully selected from a rich body of timeless energy healing techniques, used for thousands of years to connect to the energetic field. 1) A breathing exercise to raise your level of focus and consciousness. 2) A simple Yoga posture exercise to enhance your energy and concentration (no Yoga experience necessary). Immediately after doing your Chakra Connection exercise, listen to your 5-minute Attunement audio; each one engineered with Brainwave Entrainment Technology to align your mind, and your consciousness, with the frequency of your chosen Universal Chakra. Using binaural beat technology, our Attunement Audio's align your brainwave frequency with your desired Universal Chakra. It's a powerful and scientifically proven audio technology that uses specific sounds and frequencies to guide your mind into deeper states of consciousness. Each audio was produced using the exact frequencies of the 5 Universal chakras. And when listening to one of these audios at this very precise frequency, you’ll be deeply aligned with that Chakra’s energy, allowing you to connect with it like never before! 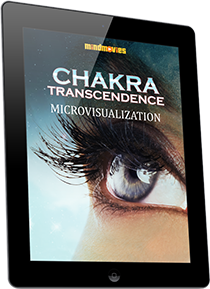 Chakra Transcendence also comes with an immersive micro-visualization audio for each Chakra, which you can use to raise your level of consciousness, either in the morning or before going to bed. Use these affirmations to supercharge your meditations or visualizations, or individually at any time of day for an instant energetic boost. Choose from 10 for each Chakra. 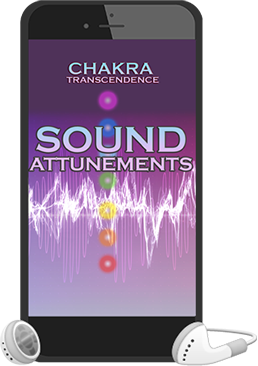 We want you to be overjoyed with your Chakra Transcendence experience. That's why we're giving you 365 risk-free days to use everything in the package and decide if you're happy with the results. If you're not for whatever reason, even if you just can't find the time to use it, email us at [email protected] for a full and instant refund.